Tiana Esparon: Bye, bye Summer, hello Autumn! Bye, bye Summer, hello Autumn! I'm not really a massive fan of trends in general. It's quite asinine telling people what prints and colours shapes that they should be wearing. I hath ink you should use trends just as a foundation of your outfits but stills twist them and make them your own. Or just forget trends all together whatever. I'm so happy it's in fashion so I can wear it as often as I want! I'm not a massive fan of just wearing pink but I definitely think it's a fun way to add some colour to winter instead of just wearing typical colours like black, grey and plum. 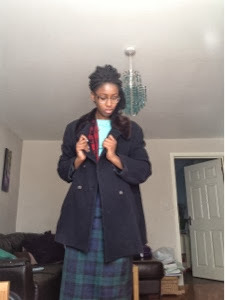 I also love oversized coats but unfortunately I can't afford the ones from Stella McCartney that I really want but I got a perfect alternative at a charity shop for only £18. 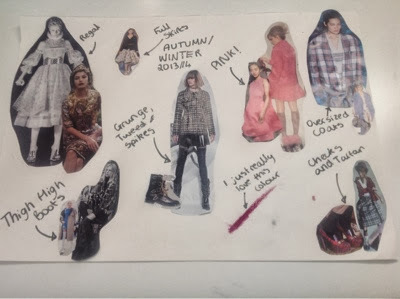 What are your favourite autumn/winter trends? 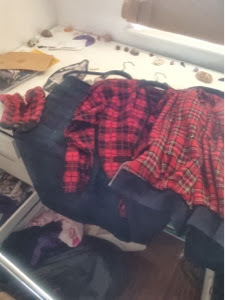 great post, obsessed with tartans too. really liking super chunky style shoes. I'm looking for thigh high boots too! Larissa Bruin Answers My Questions!